What's In the Latest BullBear Market Report? A Significant Correction in 2015? Traditional signals and fundamental and technical analysis really don't matter any more. They really don't. You can't stop this train. All aboard. Dow 18,000 by December 17th. Dow 20,000 soon. You can't lose. You'll never have this chance again. 08/09/14 BullBear Market Report: Intermediate Term Bear Market? 3d Systems: Is the 3d Printing Leader a Buy Here? A New Beginning of the End for Stocks? 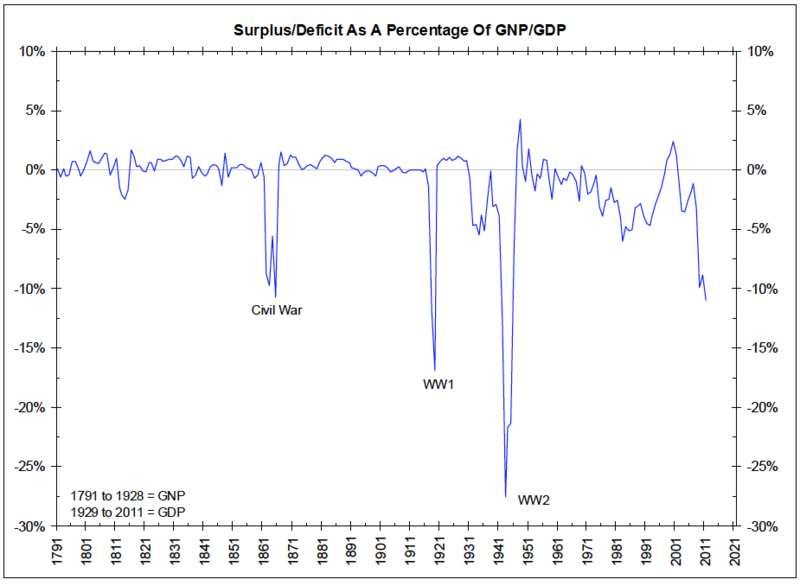 Will the Deficit as a percentage of GDP get down to World War II levels by the end of the Obama Administration? What are the long term prospects for Corn and the grains complex? Without knowing anything about the current fundamentals of the market, my take is neutral to bearish. It's Late September...Where's the Bear? Time To Refresh Your View of the Markets?